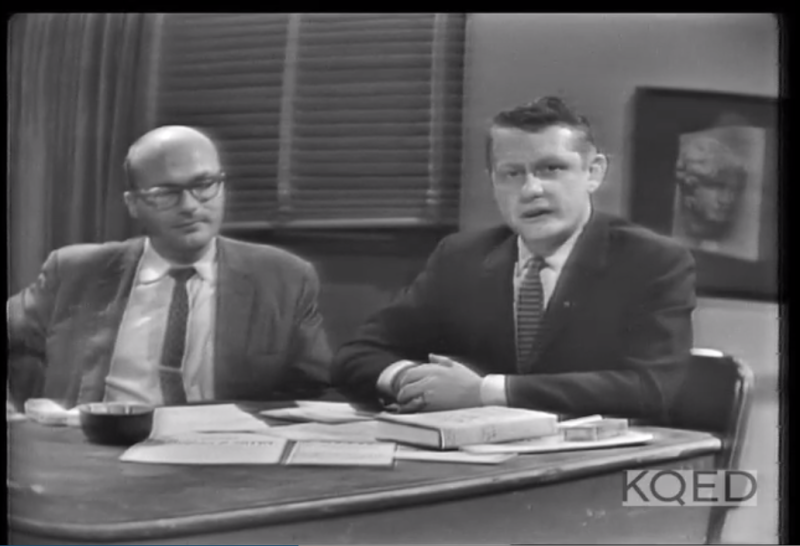 "The Rejected" is considered the first documentary about homosexuality in the U.S.
“The Rejected” is believed to be the first American TV documentary on homosexuality, released in 1961. For decades many have thought the film was lost. Until now. KQED-TV produced “The Rejected.” Critics say it was progressive, ahead of its time. In the film, openly gay men talked about their lives and the oppression they faced. That would not happen again on TV for years. The documentary has been studied and written about, but few have actually watched it. Connelly has been teaching “The Rejected” for 14 years in his film class at American University in Washington, D.C. He wrote about it in graduate school, and again on the 50th anniversary of the film. But like many others, Connelly could not find a copy. He called archives and scholars and even went to the Library of Congress. All he found there was a transcript. So when Robert Chehoski called him a couple of years ago and said he was searching for the film, Connelly didn’t hold his breath. Chehoski is KQED's archivist. Now, you might think KQED would have the film. But no. Chehoski says local stations “simply did not have the room or resources to catalog everything.” The station had not kept a copy. Chehoski teamed up with Alex Cherian, another local archivist. Cherian runs the Bay Area Television Archive at San Francisco State University. Together they went on a hunt that ended up taking six years. Cherian says, “There was no treasure map. All I knew was in 1961, KQED had made this film. Where the hell was it?" 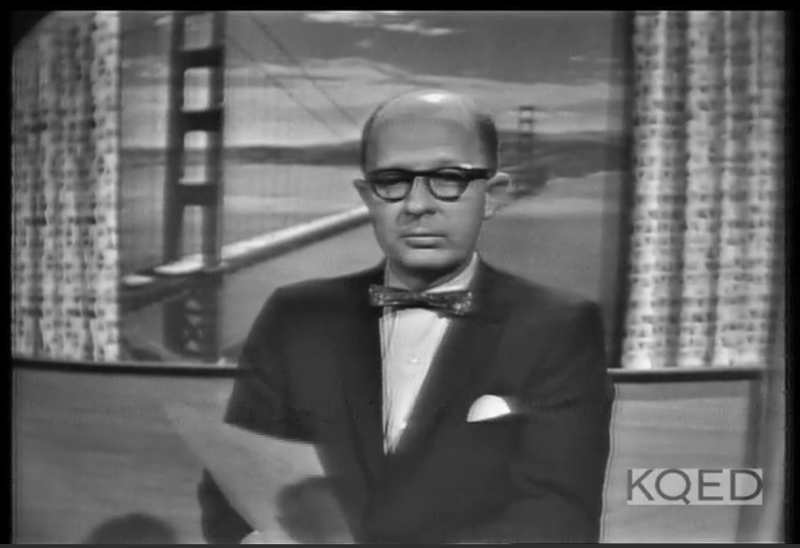 Cherian and Chehoski then discovered KQED did not actually own the film. A New York TV station, WNET, did -- it had provided the film's funding. From there, the archivists learned that at least one physical copy of “The Rejected” did exist, hiding in plain sight. Cherian says, “There’s that cliched phrase, did you look down the back of the sofa?” AKA: the Library of Congress. Yup, it was actually there, buried in the archive. But the film was neither easily accessible nor in perfect shape. 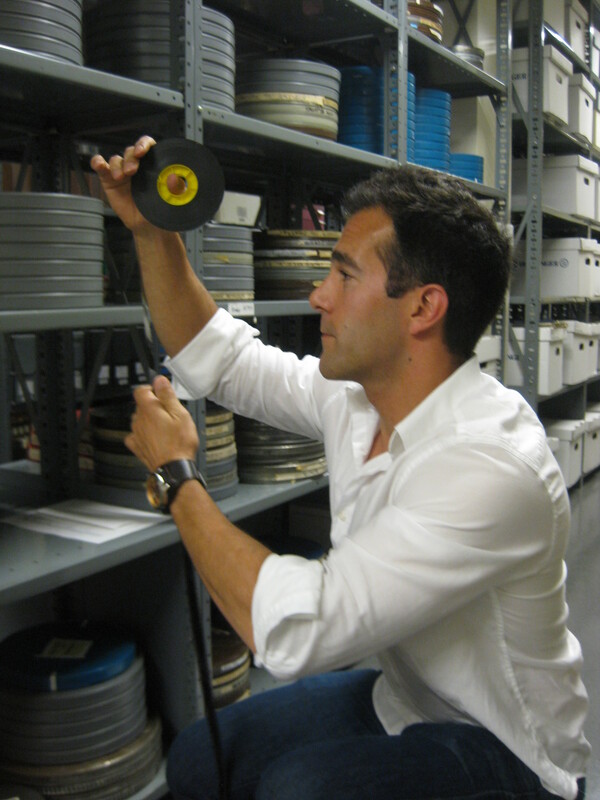 So the archivists convinced the library and WNET to let them clean up, digitize and upload the video. Then they sent a link to Professor Connelly. He couldn’t believe what he was seeing. Now, more than 50 years after the film was made, anyone can go online and watch it. The documentary starts with KQED Station Manager James Day telling the audience that what they will see deals with a subject that is “controversial, delicate, and to some downright unpleasant.” But, Day says, the issue cannot be ignored and should be talked about. But remember, it was the early '60s. Connelly says the film was progressive for the time, a breakthrough. During the documentary, different people talk to the camera—an anthropologist, psychologist, lawyer, and most surprisingly for that time, gay men. In one sequence, there is a panel of three gay men answering questions. They are from the Mattachine Society, an early gay rights group. The man on the far right says, “The homosexual is no different than anyone else,” and that homosexuals should enjoy the same rights as everyone else. Connelly says many viewers had never heard from an openly gay man before. A number of LGBT publications have written about the recovery of this historical documentary. But there may yet be more to see of "The Rejected." The film's producer, Saraf, says that a longer version was made, one with rare footage inside an early '60s gay bar. Whether that version still exists is unknown. Maybe it is in a film can stacked in some archive. Or it might have been tossed away with countless other reels of film from a bygone era.